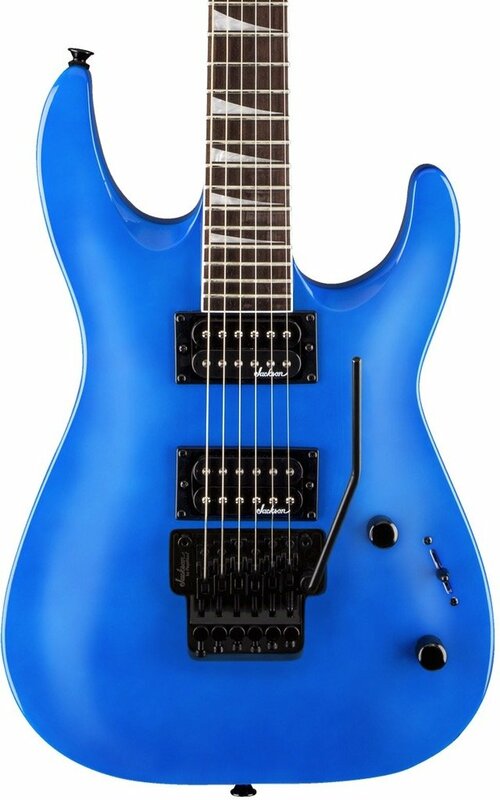 Swift, deadly and affordable, Jackson® JS Series guitars take an epic leap forward, making it easier than ever to get classic Jackson tone, looks and playability without breaking the bank. The JS Series Dinky™ Arch Top JS32 DKA has a poplar or nato (Natural Oil only) body with arched top, bolt-on maple speed neck with graphite reinforcement and a 12”-16” compound radius rosewood fingerboard with 24 jumbo frets and pearloid sharkfin inlays. A pair of Jackson high-output humbucking pickups with ceramic magnets cranks out clear tone with plenty of girth, and can be shaped with a three-way blade switch and single volume and tone controls. Available in several striking finishes, the JS32 DKA also features white neck binding and all-black hardware including a Jackson-branded Floyd Rose® double-locking tremolo bridge, standard strap buttons and die-cast tuners.